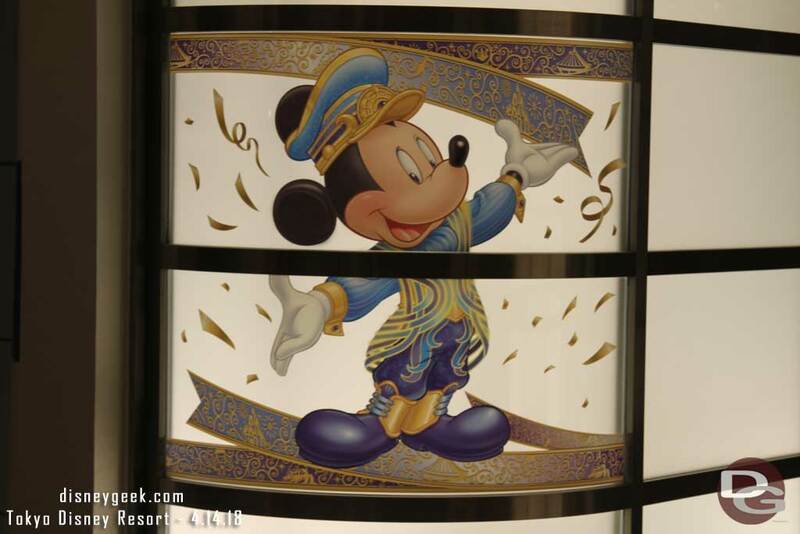 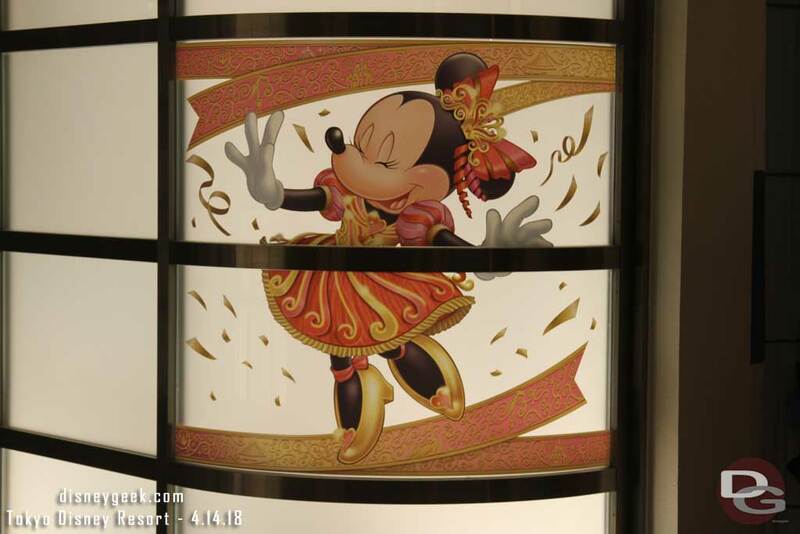 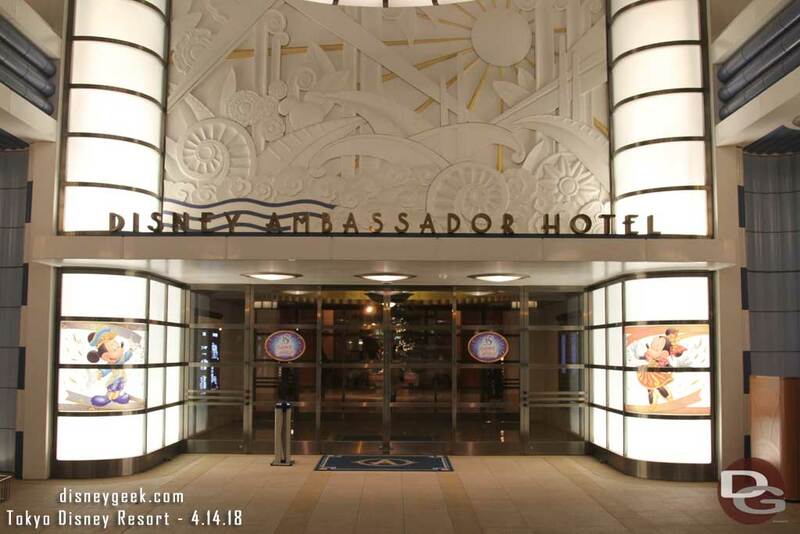 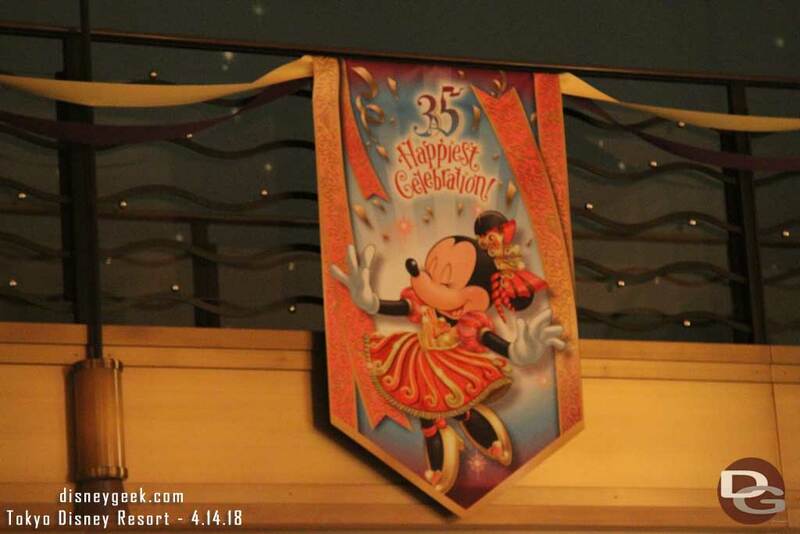 Tokyo Disney Ambassador Hotel front entrance features some decorations for the 35th Anniversary events. 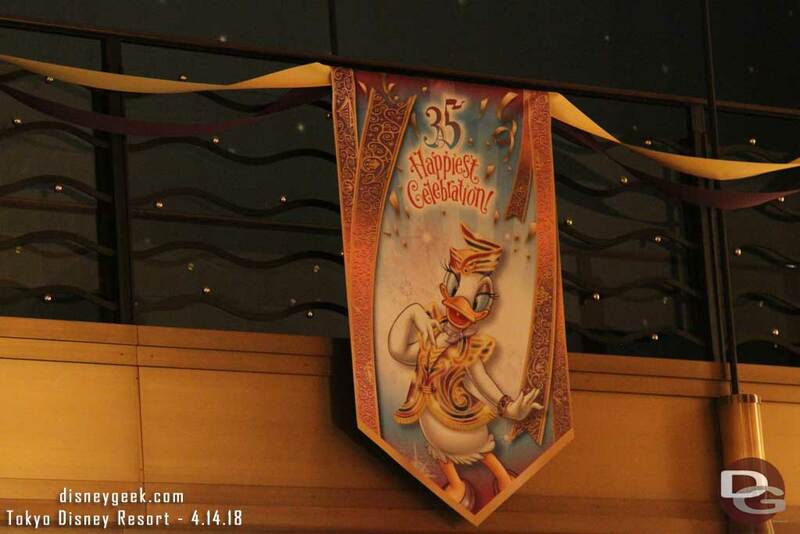 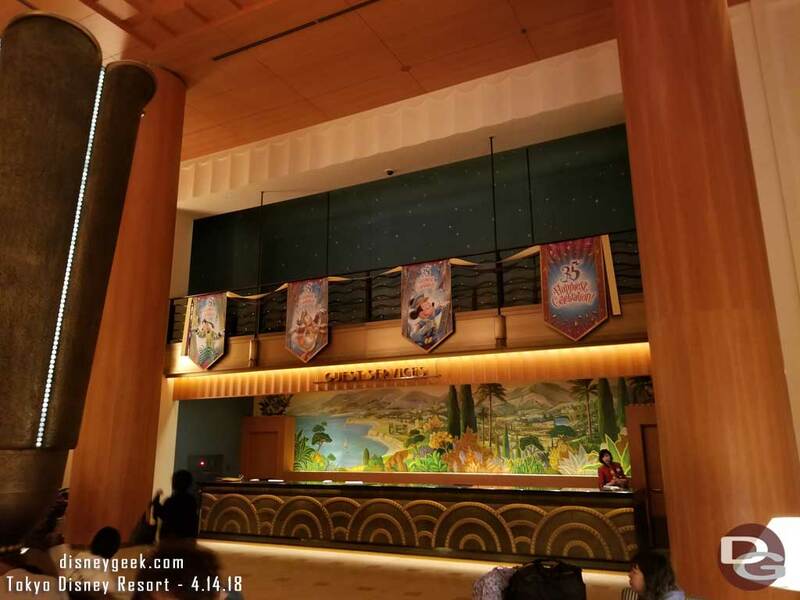 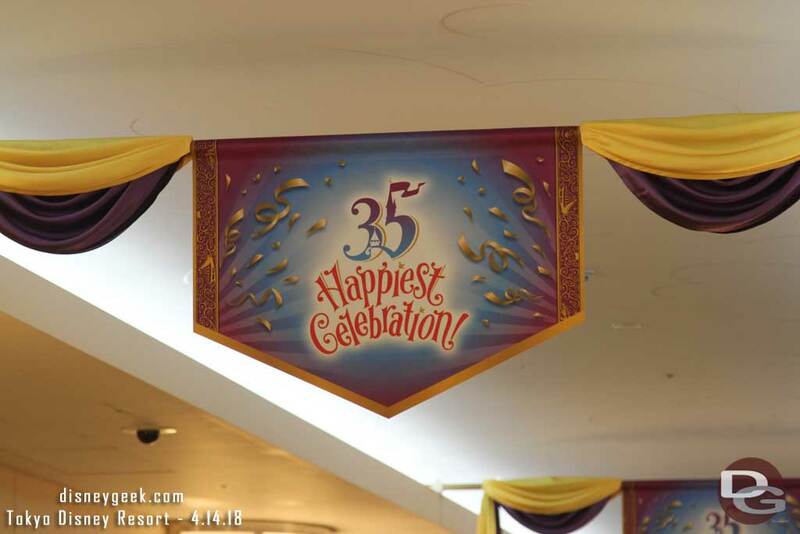 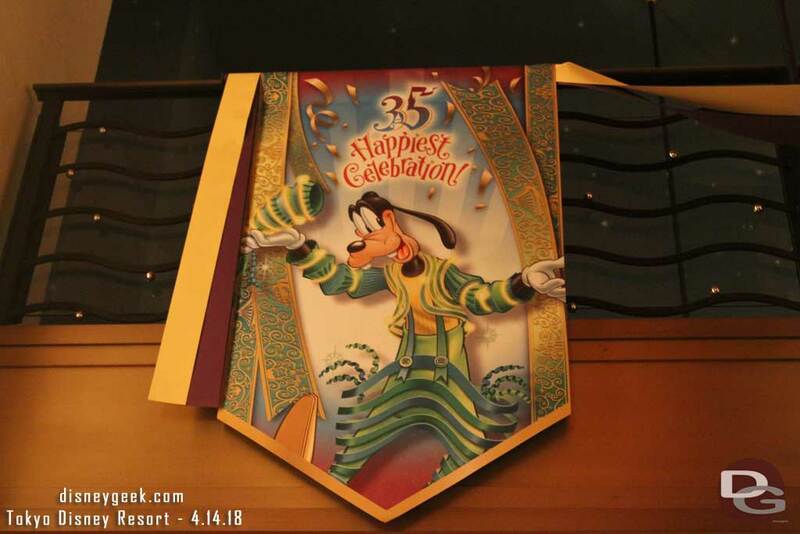 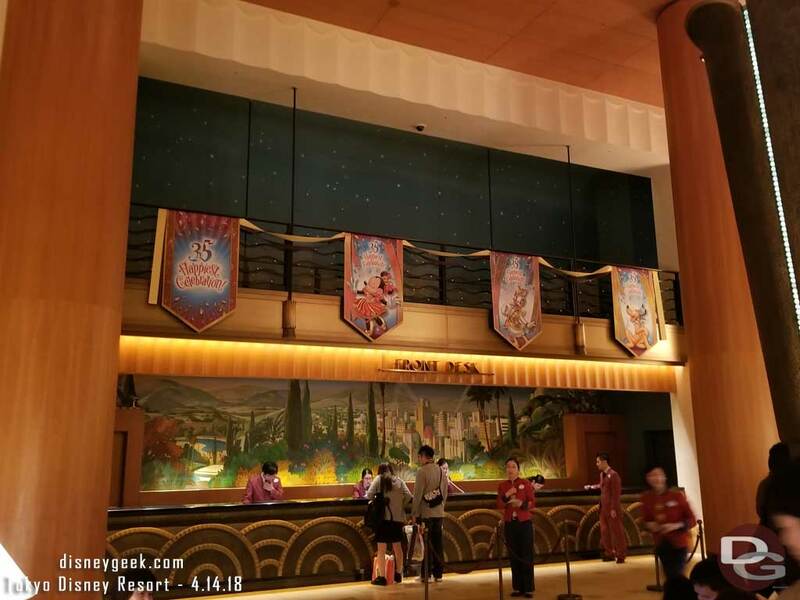 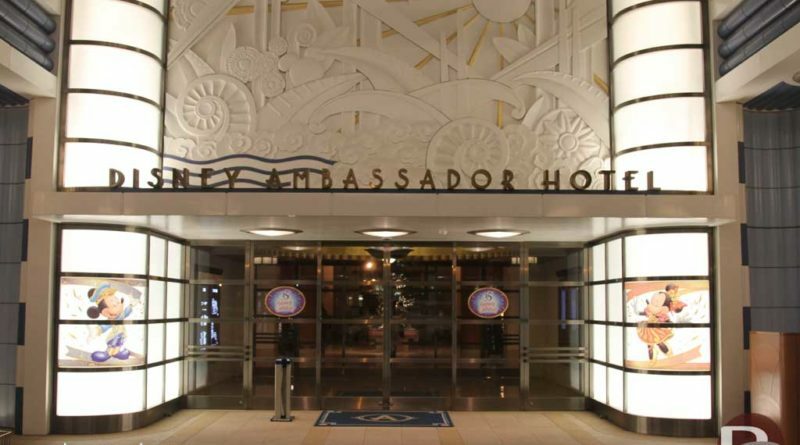 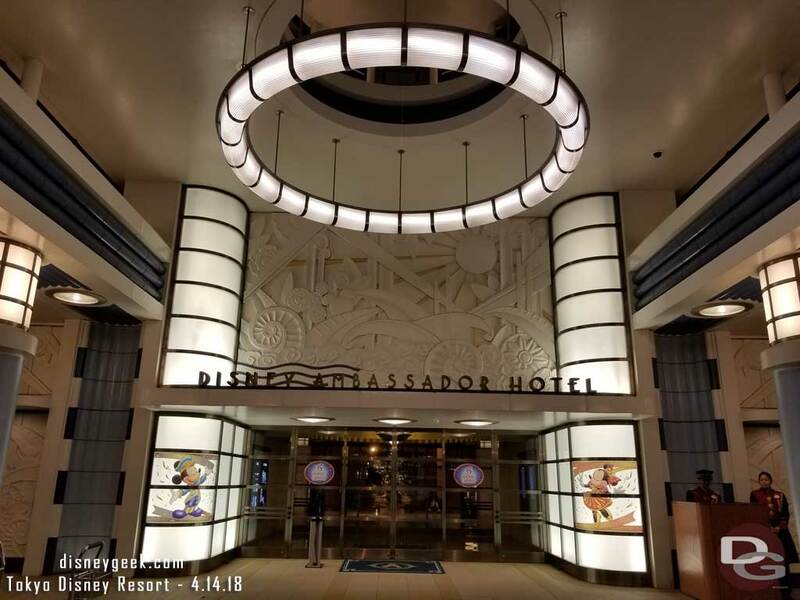 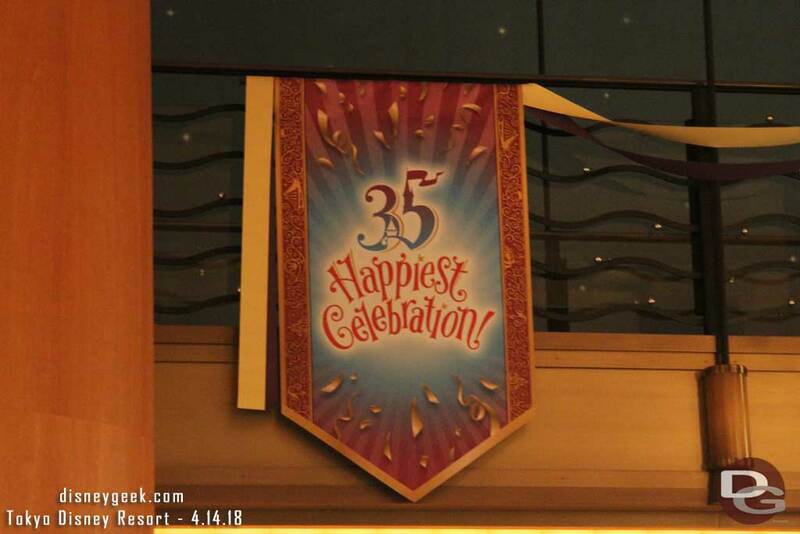 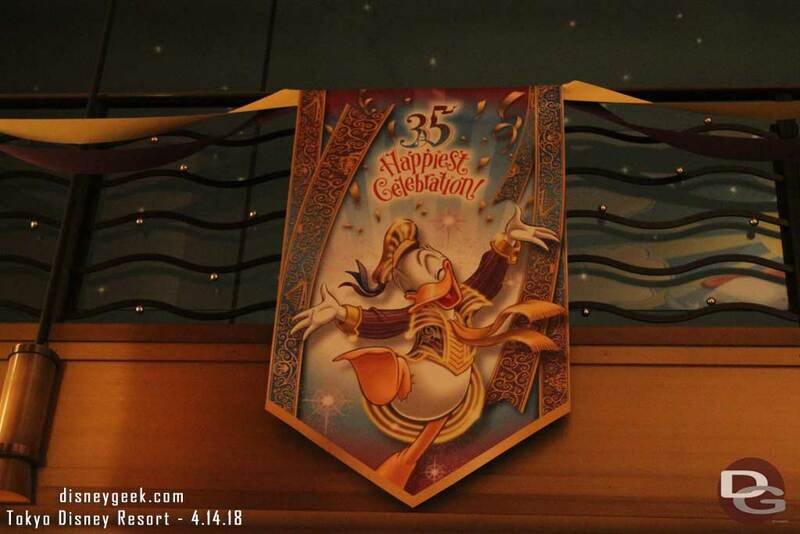 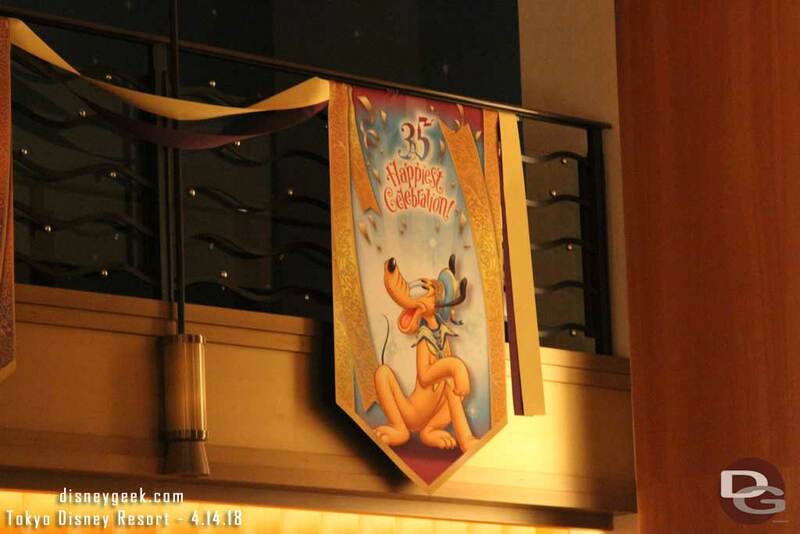 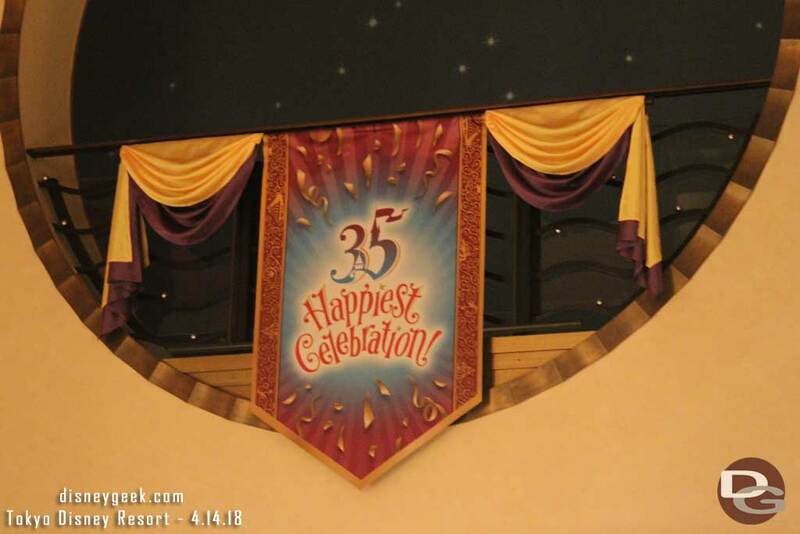 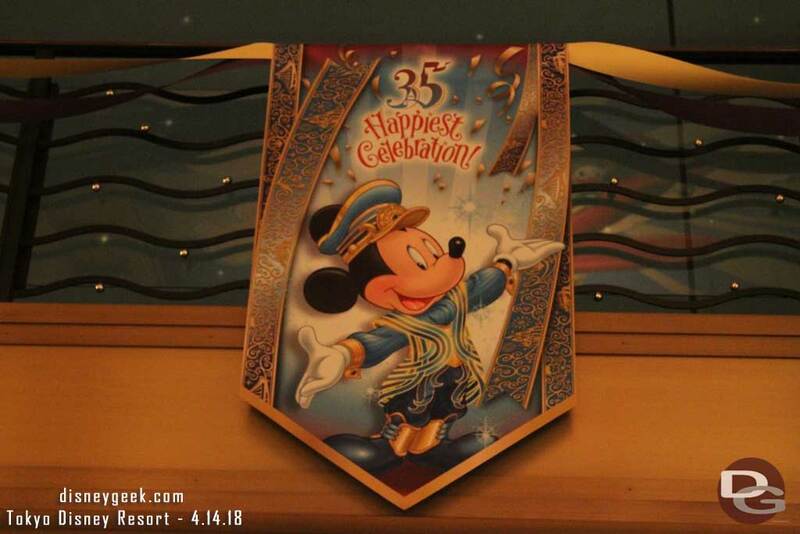 Disney Ambassador Hotel Lobby features more Tokyo Disneyland 35th Anniversary Banners. 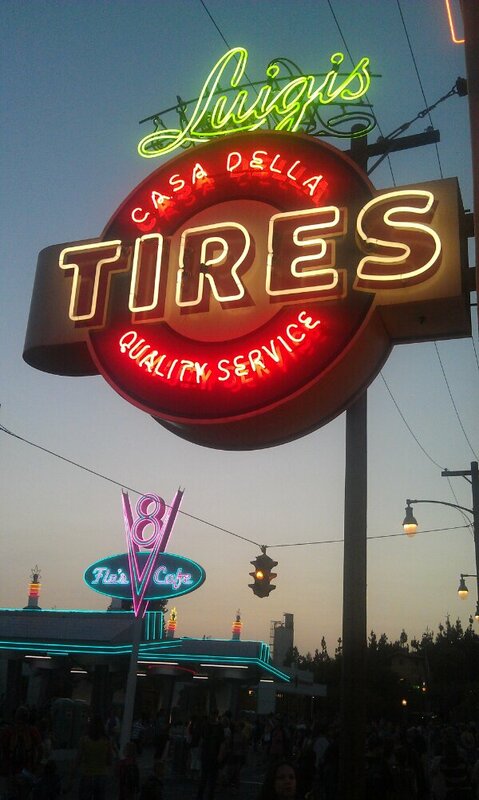 The neon just turned on in #CarsLand. 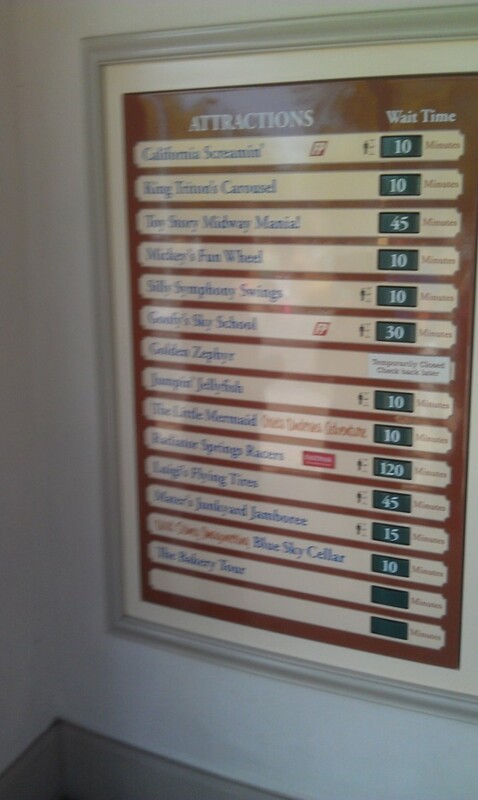 Luigis and Flos signs..